Yes, you read that right! Coconut oil is a great remedy for stubborn acne! 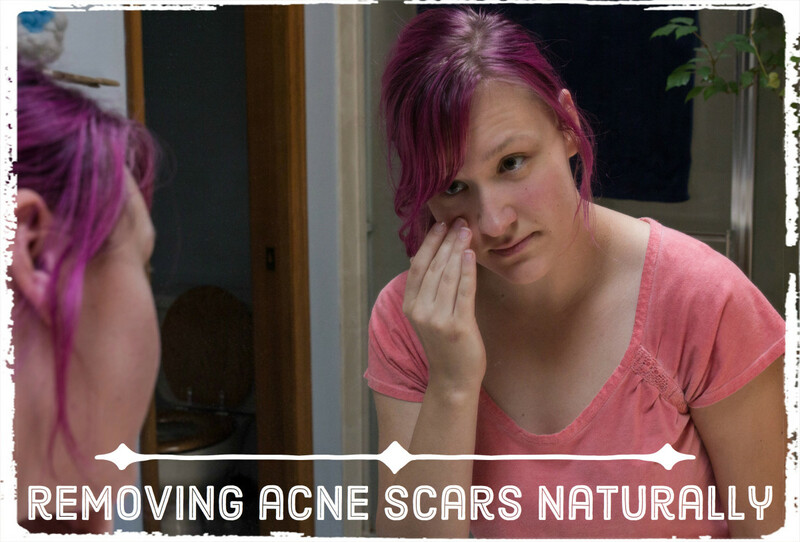 It's a great and natural alternative to expensive, harsh, and chemical-laden acne-removal products. Coconut oil is the edible and fatty oil extracted from the kernel of a coconut. It has amazing uses in cooking, beauty, health, and medicine. Have you ever wondered why many beauty and cosmetic products contain coconut oil? It’s because coconut oil has great moisturizing and hydrating properties. Plus, it is an excellent makeup remover! However, a word of warning: only use organic extra virgin coconut oil. Doing so will help you avoid both absorbing toxic pesticides through your skin and breaking out—regular coconut oil is comedogenic (which means it clogs pores and, by doing so, creates acne). Isn’t It Insane to Use Coconut Oil on My Already Oily, Acne-Prone Face? No, it isn’t insane! You might think oil is the evil root cause of acne, but that actually is not the case. In reality, it depends on what type of oil is on your skin. Some oils, as mentioned, are comedogenic. This includes both the oils in products you use on your face and the oils in your foods (which affect the sebum from your skin). Are most of your oils the grease from junk foods? If yes, then you gotta back off from those. But if you’re using extra virgin coconut oil, there’s no reason to worry. When you use the coconut oil to treat acne, yes, you’re fighting oil with oil. But there is some logic in that. Just like you need good fats to get rid of the fat around your middle, you need good oil to get rid of the bad oil (excess sebum in oily skin). 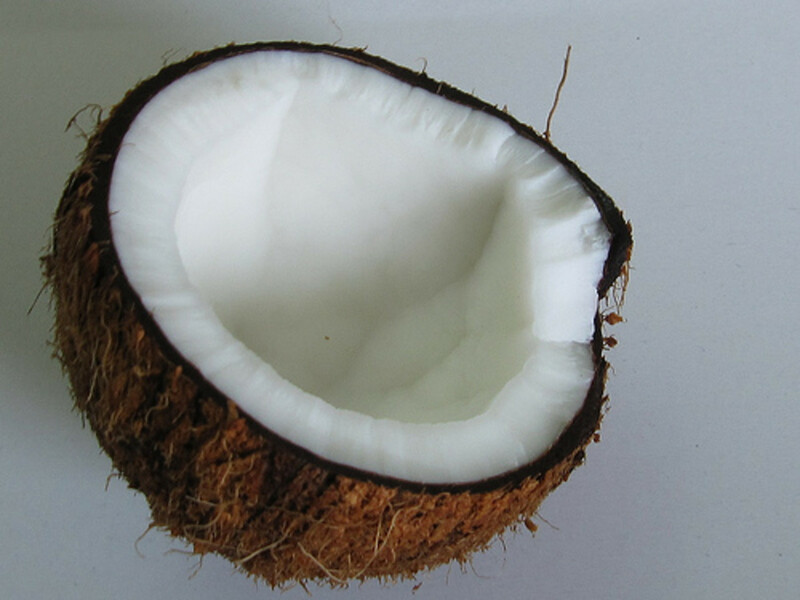 Coconut oil expels the bad oil, toxins, dirt, grime, and black heads from deep within your pores. This sudden detox may cause immediate, sometimes extensive, breakouts. These will gradually diminish, then disappear entirely as you continue using the coconut oil treatment. Naturally occurs in organic coconut oil. Effective against acne-causing bacteria. Provides nurturing benefits to sensitive and oily skin. Acts as an anti-oxidant. Acts as a powerful antioxidant. Fights off free radicals that cause oxygen damage in skin cells. Removes acne scars. Lubricates and moisturizes skin. Good for combination skin as well as peeling dry skin combined with acne. This Is a Real-Life Story from My Little Sister, T.H. “Right from my early teens, I’ve suffered from acne and pimples. Of course, I tried many over-the-counter acne removal creams, benzoyl peroxide, and a couple of serums. Even though I used them consistently until the acne disappeared, they would still pop up after a few hard-earned, glorious acne-free days. It caused frustration and stress, which of course leads to more acne! Since then, I’ve been keen on natural healing and a holistic lifestyle. Meaning I threw out the greasy burgers and cheese cakes and all the processed junk foods for healthy alternatives. And this, I tell you, has improved my skin loads! "Ever since I discovered coconut oil for acne, my acne-prone skin has improved a great lot and now I swear by this miracle acne buster. 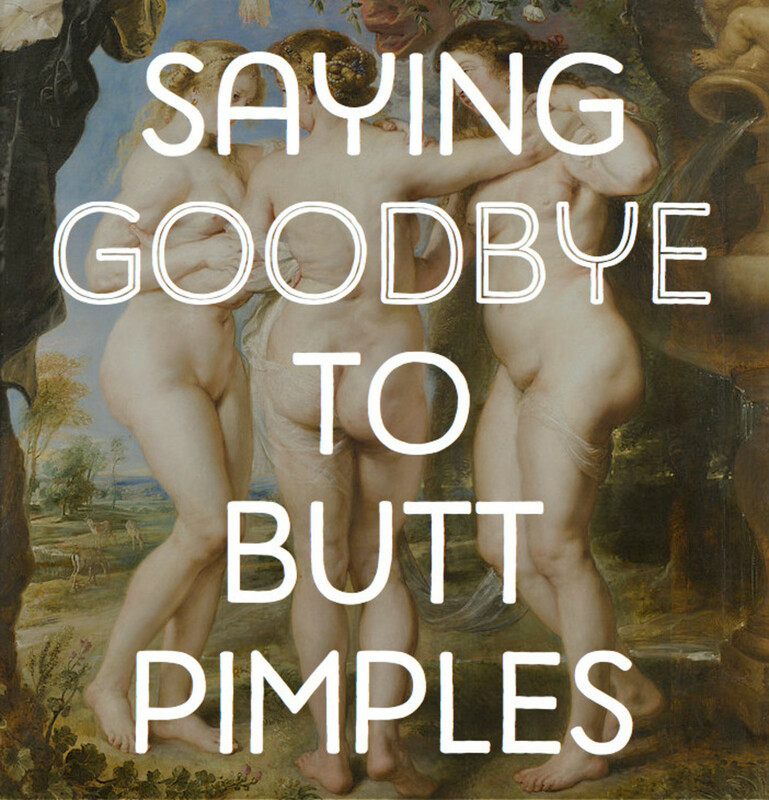 After all, it helped me get rid of cystic acne! When I first started using this beauty oil, huge zits filled with pus erupted on my face. I did not get grossed out because I knew this was part of the ‘detox phase’ where coconut oil pushes out the ‘bad’ oil that clogs pores and causes pimples. Coconut oil also drives out grime, dirt and pollution from your skin pores, which leads to massive breakouts. Those icky painful pustules that are waiting to be released to the surface are driven out by the wondrous coconut oil. So you’ll start breaking out immediately. Don’t get scared by the whiteheads popping on your face because it’s all part of the detoxification process, and, anyway, after enduring that, your face will become lush with no zits! Steam your face or simply dip a towel in hot water, squeeze it, and place it over your face to open up your skin pores. Drop a teaspoon of coconut oil onto your left palm and use your right hand to apply the beautiful goo onto your face in a circular motion. 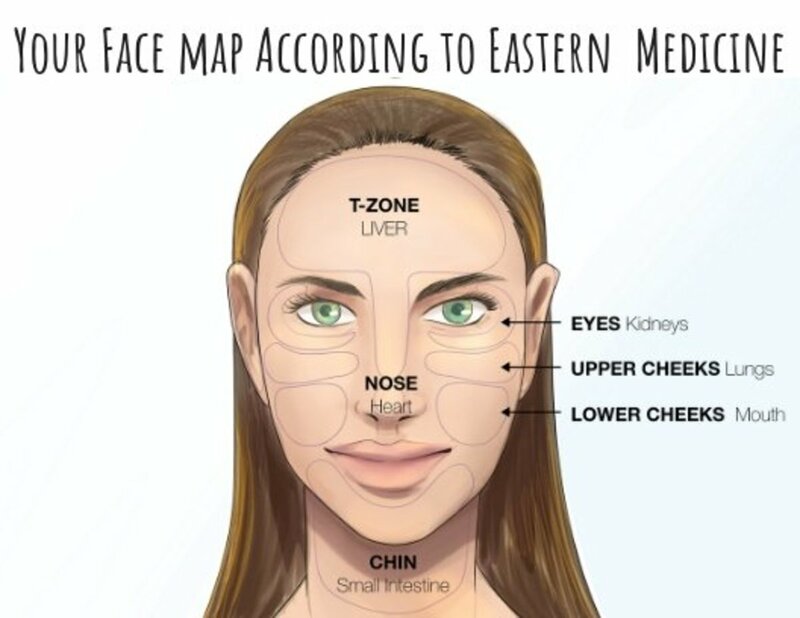 I usually start with my cheeks, then my forehead, and finally the chin. Avoid the eye and mouth area. Gently massage the oil into your skin with circular motions so that the nutrients sink deep into your pores. Finally, you can wash your face, preferably with a natural cold-processed soap. This step is very important—you don't want to leave excess oil on your face. If your face is a little dry, especially in the winter, go ahead and add a tiny drop of coconut oil to the soap so that it will moisturize your face. That’s it! My face always has a warm pink glow after that lovely coconut oil massage. 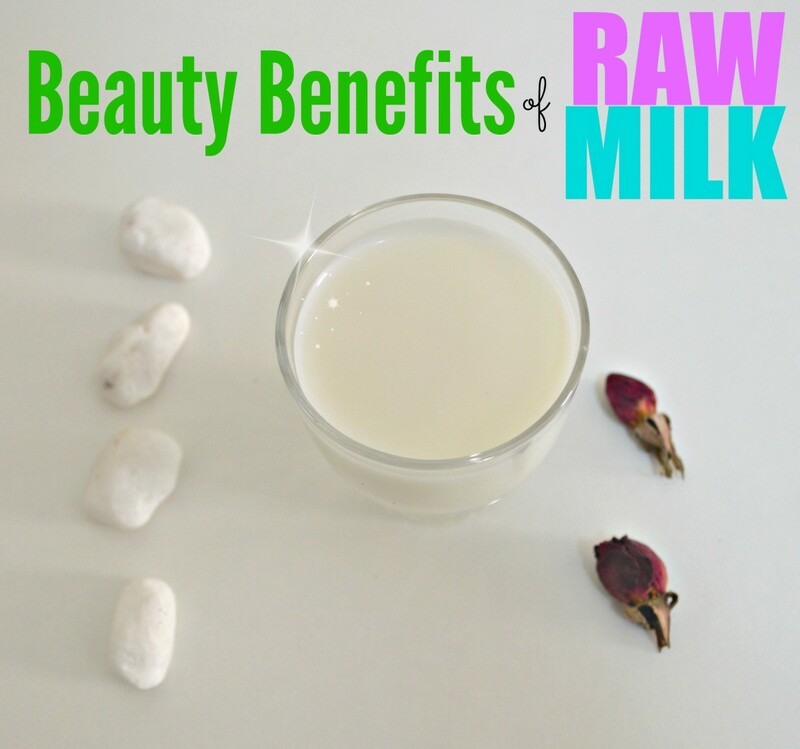 Coconut Oil Has Many Beauty Benefits! There’s no need to refrigerate it. I simply keep a small bottle of coconut oil in my bathroom cabinet. Coconut oil will solidify below 76 degrees Fahrenheit. To liquefy it, just pop the bottle in a bowl of hot water or run it under hot tap water. Some people have had negative reactions with coconut oil, saying it exacerbated their acne. Please ensure it is safe for you by using a test patch on a small portion of your acne-infected skin. Remember that acne worsens with stress. If you’re scared of using it for your acne, then there’ll be higher chances that it will worsen your acne. Testing it on a small patch of skin can help you approach this process with a positive, anxiety-free attitude. i) Wash your face and then steam it for five minutes. ii) Now that your pores are open, massage in the coconut oil. iii) Wash out with a mild cleansing soap and WARM water. From my experience, if you do this, you'll be able to prevent clogged pores and end up with cleaner and clearer skin. Have you tried coconut oil on your face? Has it helped you out with your acne? Have you found any relief, or do you think it's pointless? Share your story with us! In the comments below! 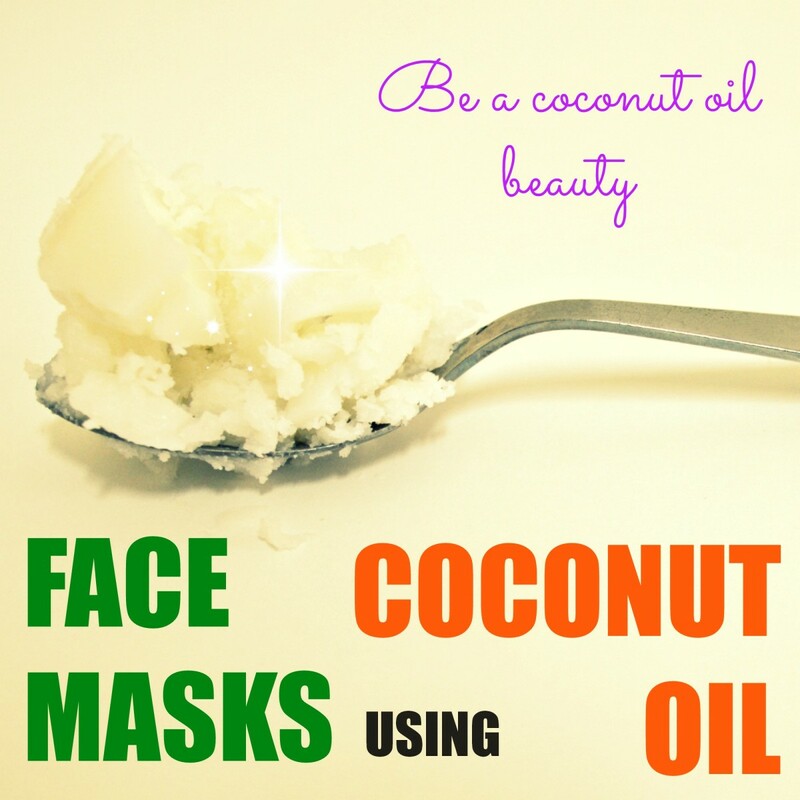 Be a Coconut Oil Beauty! You'll be surprised how many ways you can use coconut oil in your beauty routine! From homemade blush to body scrubs, coconut oil is a great ingredient to use for beautiful skin. Coconut oil is a rising star in the beauty world, and with good reason! It's a natural sunscreen, too! Incorporate this miracle oil into your face masks with these three sensational recipes. I’m not sure that I’d use coconut oil as a face moisturizer on a regular day, being acne prone, but when a new product I had tried (stupidly not patch tested) caused my face to burn, utterly dry out, and turn glorious red, I knew exactly what to do. Putting coconut oil on my face barely even touched the irritated skin dryness at first, but once massaged in, the relief was incredible. I’d imagine that coconut oil is wonderful for eczema based on my good experience with using it for dermatitis. I didn’t break out in a million zits, either, so I’m more open to trying the oil as an acne treatment... in small quantities (I think a little coconut oil probably goes a long way). I could see it causing new acne if slathered on too heavily, but the way it pretty much single-handedly kicked my nasty dermatitis to the curb makes me much more likely to consider coconut oil for other uses. Do not use coconut oil if you have acne-prone skin. It clogs pores and irritates skin (especially sensitive skin). I know this from speaking with experts (dermatologists), personal experience, and from my organic chemist husband. I have an oily open pores skin , can i put coconut oil as a night cream and wash it in the morning? Coconut oil is pore clogging. Never use it on acne prone skin. Avoid any make up or cosmetics with coconut oil or coconut butter in it. It won't help acne. It will make it worse. In general, natural oils are some of the worst skin offenders that clog pores and cause acne. What would be a proper face routine if your wear makeup during the day to hide acne scares. Would you wash the makeup off first then proceed with warm cloth, then coconut oil massage, then wash off. Your thoughts please??? It's my 3rd day I'm using this coconut oil I have got it from home bargain. I am getting more pimples now but my old pimples are getting better especially the marks of it. I can't say anything about it I have got to come back for this. It's a best moisturiser it's the best feelings when u try it on your hands. I am a 58 year old woman and have quite good skin but for as long as i can remember had blockrd pores above top lip for as long as i can remember. The coconut oil has completely leared them. I went intk panic mode yesterday whe i heard it could clog pores and stopped last night. Do you think it would have happened by now, i so want to keep using it. I have started using coconut oil on my skin and love it. I finally hit skin "maturity" (in my early 20's my skin shifted from oily to constantly dry...yet my blackheads persisted). I started using this to deep moisturize before bed. I'll wash my face with a product, then smear some on and leave it on. Within the first use I noticed my skin was less red and less bumpy the next morning. It was also very well oil balanced in the morning. My favorite part is that my blackheads are so much smaller, for some reason. I find it doesn't moisturize my lips well, though. Olive oil is GREAT for your face. I dont use the food version because it stains pillows, but I do use the Made from Earth Olive Night Cream, which has the olive oil and olive butter on it. During the day, I use the Lady Soma Argan Oil on my face. I found that Argan Oil is fantastic at removing the flakes you get from the initial Retin-A "flash Burn". One thing to remember is that if you are using a moisturizer, please apply the oil on top of your moisturizer. Moisturizers can't penetrate oils, but the oils can penetrate the moisturizers. My acne was really bad, painful and embarrassing until I started using all natural products on my face. Skin type: oily and cystic. To wash my face I use 1) baking soda, honey and lemon mixed together ( to exfoliate I add sugar but that's only 2 to 3 times a week) 2) tree tea oil, Apple cider vinegar diluted with water as a toner 3) extra virgin coconut oil as a moisturizer. I also use Aztec Clay mask two to three times a week. This has by far worked great for my skin! I've heard so much about coconut oil and its many uses from cooking to skin care. I would love to try it on for size to see if it can remove the blackheads on my back and some acne on my face. Thx for this hub! i love using coconut oil, it has become a go to ingredient in my home from the kids to our four legged furry friends! 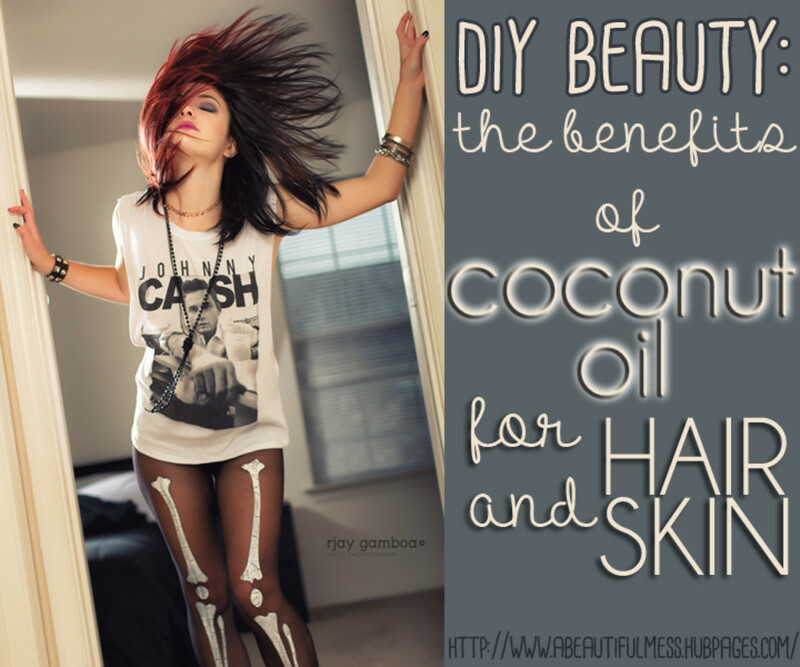 Coconut oil is also great for hair. I use mine as a conditioner. Good stuff. Is dis oil easy to get in market? N what kind of soap applying aftr oil massage.? Ok so I am trying to fight my cystic acne and I was wondering if using the coconut oil method that you have posted is it ok to put my organic honey face wash on after or before the coconut oil? I started using coconut oil recently I am hopeing it helps however I am using Spectrum Organic Coconut Oil. Is this brand bad or good I am just not sure? Thank you! I used it in my hair for amazing results, now I'll try in the skin! As we speak I got no pimples, those scars and blemishes are fading away. I used to admire ladies wearing make ups while I was blocked by pimples. Nowadays I enjoy wearing make ups like other smart ladies. I apply coconut oil on my face 3 times a day for better and fast results , I also orally take a teaspoon a day and swallow the oil uncooked. This is a great hub! I have done my fair share on research on coconut oil and the benefits that it holds, and this is a great example! What a tremendous informative hub, very helpful and so much to have knowledge of and pass it on to others. I look forward to reading all your exceptional work. Coconut oil has been a miracle for me. I've had cystic acne and excessively oily skin since puberty and I'm now 45. That's a long time of dealing with this all consuming, confidence killing condition. I've been on accutane 3 times and when I wasn't on accutane, I was taking antibiotics. I've used everything you can think of with, but the acne always came back and my skin has ALWAYS been excessively oily (except on accutane). I've even gone vegan with the hope of changing the condition of my skin, but 3 years into changing my lifestyle and my skin didn't look any different. I only felt better, both physically and morally. I've been drinking coconut oil in my green tea for the past couple of weeks and my acne had cleared and I no longer have oily skin!!! OMG, this is a miracle product for me!!!! I am constantly looking in the mirror because I can't believe there's not an oil slick on my face. Normally I can only go about 20 minutes without putting powder on my face to blot the embarrassing shine. Now, I've been powdering once every now and again & that's mainly out of habit!! I cannot believe how amazing my skin looks! I feel like a normal person now. I think I'm happier that the oil is gone than the acne. I've always felt like dealing with one or the other would be enough of a burden, but both acne and excessively oily skin really did a number on me. Every stupid decision I've ever made and every career choice I've made was based around how I looked, how utterly miserable I was. I've lived my whole adult life trying to act like I wasn't dying inside when I was around other people because I was so embarrassed of my face. I only went out when I had to and I've spent the rest of my time alone in my house. I've wasted so much time and now I've found a miracle. Please don't lecture me...I know I've let my insecurities take over. That's all in the past. I think I am finally free!! My skin is amazing looking....no acne and no oily skin. I am utterly amazed! I drink 3-4 cups of green tea a day. No sweetener. I want to tell anyone who will listen about this miracle cure! I don't feel quite ready to put it on my face yet, but simply adding it to my tea has cured me. thank you so much for sharing. let me see if this may turn out to be way out for my cousin Annie acne condition. this nightmare acne has made my cousin to hibernate, she hides during the day and even at night. she is such a shy girl. Very informative! Thank you for putting exact directions on how to use the oil, because otherwise I probably would have tried leaving it on overnight. Do you have any examples of the best natural, cold processed soap and where it can be found? My skin is oliy and I have acne can I use coconut oil? Yes, Coconut oil is giving healthy skin. Before bathing using coconut oil to massage our body and head.Then need some half and hour rest.After then bath.It gives plenty of freshness and healthy body.In curries when we use coconut oil its better for our health.So many Ayurveda treatments using the coconut. I definitely agree with what was said above about using Apple Cider Vinegar to cleanse instead of soap. Soap will remove your skin's natural good oils so unless your skin is very oily, I would leave it. I personally use Avocado Oil which works for me, but might try my routine with Coconut Oil. I use the oil to remove all my make-up with the help or warm water and cotton pads (make the cotton pads slightly moist so that they don't harm your skin). I massage the oil in, then remove all impurities with cotton pads. I then tone and cleanse with an Apple Cider Vinegar Toner I made (1 part vinegar, 2 parts distilled water) using another cotton pad and finally moisturise with my favourite moisturiser and sunscreen if it's day time (I like Korres). Hope this helps! This is a really great hub with lots of information, but I'd just like to note that coconut oil doesn't work for everyone. It has a low comedogenic rating, but not 0. That means it can still clog pores, and it certainly clogged mine. The idea that you can "open" your skin pores is ridiculous. Using warm water or steam you can soften dead and living skin on the surface and potentially make it easier for products to soak in, but pores don't open and close like little saltwater creatures in a coral reef. There aren't muscle groups there. I've used it and it works! I tried coconut oil for my acne years ago and my skin condition grew worse. I was afraid and stopped it for a while. Over time my acne went away, I believe it's because I was eating massive amounts of organic extra virgin coconut oil. Today, I can safely say I am acne free. I regularly apply coconut oil to my face and body and wipe off the excess oil so I won't look like a grease monkey. Great article. I use coconut oil on my skin regularly and I have had acne and now do not. I only use Cetaphil (Walmart brand) and an oil free moisturizer and coconut oil. I do not use foundation or powder and my acne has really cleared up. I love how my skin feels when I use coconut oil. It also helps to remove eyeliner and mascara at night. Glad other people have found the benefits of coconut oil. I decided to use coconut oil (Nutiva Organic Virgin Coconut Oil) in my teens. My skin wasn't particularly bad, but over the next few months of using it I experienced the worst breakouts, and I didn't realize it was from the oil itself, I just thought it could have been my diet, or changes in the weather. The onset of my skin problems was slow, so it wasn't until I stopped using it months later that I put it together just how much damage coconut oil was doing to my face skin. From personal experience I would never recommend putting it on your face, it does have a very high comedogenic rating. I have permanent scarring from my breakouts. I didn't even have acne and it looked like I did when I was using it. So embarrassing. I'm surprised it's still allover the web just how beneficial it is for your face skin. My friend also broke out pretty bad from using it, after I told her about it when I first started using it. So I'm surprised that so many people swear by it. I love this article! My friend actually introduced me to cocunut oil for tanning this summer. I love the smell of cocunut, so I thought it was cool you can use it on your skin. After reading this, I will definitely have to try this. My concern would be how the oil would act with my skin, because everyone is different, and I wouldn't want it to make my face oily. This article did a good job explaining good oils and bad oils, because that was my first concern reading this. I just started using this and was recommended to wash my face then apply lightly over my face. Should I be rinsing it off after? The proper way to use coconut oil is to consume it orally by pouring it on salads as a salad dressing which is much more effective than using it topically. Coconut oil is hormone-balancing. We can all agree that Coconut Oil is the cure for acne hands down. Hi marlene, what I noticed is that most people use "virgin coconut oil" and they are doing great on it, including myself currently. However, if you're starting out it's great to invest in organic, extra virgin coconut oil. Does it HAVE to extra virgin coconut oil? Both virgin and extra-virgin coconut oils are made from raw coconuts and are unrefined. There isn't much difference between the two, in my opinion. You can use your jar of virgin coconut oil with great health benefits - and when it's finished, try extra virgin if you wish. Is there a huge difference between virgin and extra-virgin? I just bought a pricey jar of virgin coconut oil... opps. I used 100% bio virgin coconut oil for 3 days in the evening, after 3rd day,. Before using it my face was clean. After first usage my face was soft and nice looking. After 3rd time, my face is full of acne. I do not recommend this especially not when you are having problems with acne. I am not a hater and I wanted this to work for myself, but it didn't, and I need to spread the word, to spare others like me from experimenting with their face. If you have problems with your skin, go to your dermatologist, don't rely on something that works for few people, and might destroy your skin. I just bought two bottle of "extra virgin coconut oil" in Cambodia. I live in a humid weather country. And my skin is terribly oily (extremely oily). I had acne scars and new pimples forms. Should I use coconut oil at night and leave it for a whole night then wash it off in the morning? Thanks for best information. I may missed some point but I'd love to try coconut oil since I've tried so many method and it only exacerbate my acne and scars. Thanks so much. Hi, Susan! I'm mostly definitely meant 'cold processed soap'! Thanks for pointing that out! Just an update, I'm still using my coconut oil face cleanse routine and I do it at least once a day and sometimes twice a day. It's working great for me, and my acne scars are fading faster than usual! Every time I finish cleansing my face with coconut oil, I'm amazed at how clean and bright my skin looks, as opposed to the dry, dull effect of harsh chemical cleansers that require you to run and slap on some moisturizer to relieve the tightness. Trust me, I watch so many 'night time skin routines' on YouTube but I'm so pleased with my natural and simple routine and nothing can beat this, not even over-priced 'designer' products! I am wondering what a " cold pressed" soap is ????? Are you refering to a cold processed soap?? I've been using coconut oil for a few weeks now and it has really cleared up my acne, and given me great results- my only issue is that my pores are seemingly more clogged... I'm not talking about pimples, but more so white heads. They aren't raised, so my skin appears clear and smooth, but I am able to squeeze out a boat load of white gunk so gross! This is something fairly new. Usually this would only happen to my nose, but now it's on extended further out. If the coconut oil is just virgin as opposed to extra virgin, could that make a difference as far as clogging the pores goes? I used trader Joe's organic virgin coconut oil. Also, my regimen has been to use the oil 2x a day (morning/night) after showering, as a moisturizer. Any tips or advice?! I HATE the new white heads and I just had a minor breakout! @diksha bhardwaj: Thanks for coming back to report your results! I'm glad it worked for you, too! Make coconut oil an integral part of your life to keep your skin looking ageless. it works very good..my scars are lighting up..feels very nice.. I've had horrible cystic acne and have been on a regimen from the dermatologist including sulfur face wash, two creams, ointment for when the cysts flare up. It helped for a bit. Then nothing helped. I stopped doing everything and only use Yes brand Tomato daily pore scrub followed by rubbing coconut oil all over my face in the shower and then rinsing off. I don't even apply moisturizer, just a little coconut oil in dry areas. My skin is cured! People keep asking me what I am doing. It works. @dikshwa bhardaj: There's no problem doing this! Coconut oil doesn't clog your pores, it sinks right in and cleans your pores. You've used it for a week - how does your skin feel? i use coconut oil at night..and wash it at morning...would it be beneficial or not.? ?.i am using it since last week..
nothing can beat natural. coconut oil, water are awesome resources we should make use of it. hats off author. Cleansing the skin with natural oils always seems to work much better than soap, especially combined with a steam treatment to open the pores and soften the gunk that's clogging them. I like coconut oil best, but almond oil or olive oil would probably be good too. Natural oils just work better to dissolve the hardened oily/waxy gunk clogging your pores. Soap just reacts with skin oils to form "bathtub ring" type stuff that clogs pores worse than before. I prefer to make a cleansing cream by combining coconut oil, water (or flower-water), and lecithin. If it was me, I would avoid using soap after cleansing with oil or cleansing cream and instead remove this with either apple cider vinegar or a mud mask--or both. The ACV is good for the skin's pH and healing in its own right, besides being a grease-cutter. If you're a teenager, I'd not recommend doing this. I do not know If this can become malicious to your skin or not, but don't do anything mentioned in article if you're a teen. I'd like to praise the author for writing such hub, it really came out well - but if you're a teen, you should know that acne is part of the teenage and once you're not in puberty anymore, it'll vanish. Regardless, as I said, this is a very good hub. Thanks for your time.